Adjusting your sleep cycles to increase the likelihood of having a lucid dream. For one week, go to bed at the same time each night and get up 90 minutes earlier than you usually do. Spend those 90 minutes doing reality checks every 2-5 minutes. Any character inside your dream. Some people believe they are real people or spirit guides, others that they’re just products of the dreaming mind. A lucid dream that begins during a “normal”, non-lucid dream. The ability to remember details of one’s dreams. 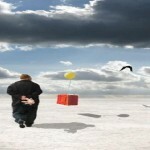 While it is very rare, it is possible to forget about a lucid dream. It would be meaningless to invest so much effort into lucid dreaming, only to forget about it upon waking. Recording your dreams will eventually allow you to start recognizing recurring patterns, characters, and scenarios. Having these details will be invaluable once you begin practicing lucid dream induction techniques. Result from a reality check that indicates that one is dreaming. Ex: Breathing through your nose while pinching your nostrils. The landscape and scenery of one’s dreams. The images, sounds, etc. that you perceive as you fall asleep. Not to be confused with phosphenes. A dream in which you are aware that you are dreaming. 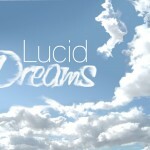 Lucid Induction of Lucid Dreams. The technique in which you do something in a lucid dream that theoretically will remind you that you’re dreaming in your next dream. To use this technique, you need to have a lucid dream in the first place, but it can help you to get more later. The idea is to do something in your dream that will help you to become lucid the next time you are dreaming. For example, you could ask a dream character for help — ask them to meet you the next night and tell you that you are dreaming. If it works out the way it should, then the next time you are dreaming, the dream character will walk up to you and tell you that you are dreaming, and so you’ll (hopefully) become lucid. There are many variations on this technique; you could set up signs in your dreamworld that remind you to do a reality check or eat lucid pills instead! This technique is not likely to be very effective, but it can work; it relies on the chance that you’ll subconsciously induce the reminder (i.e., the dream character or sign or whatever you used) during some later dream, and become lucid because of it. Now as this technique suggests, you must have some previous alternate means of having a lucid dream. Whatever technique you employ to get into this initial lucid dream state is not really important, but you should try to remember to use this technique (LILD) once you do get into a lucid dream state. Thinking of this before falling asleep (MILD) sometimes helps and usually takes many lucid dreams before finally remembering. Mnemonic Induction of Lucid Dreams. The technique in which you mentally repeat to yourself, as you fall asleep, your future intention to realize that you’re dreaming. MILD stands for “Mnemonic Induction of Lucid Dreams”, or sometimes, “Mnemonically Induced Lucid Dream”. 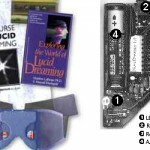 The MILD technique was developed by Stephen LaBerge, and is described fully in his book Exploring the World of Lucid Dreaming. With the MILD technique, as you are falling asleep, you concentrate on your intention to remember to recognize that you are dreaming. Repeat a short mantra in your head, such as “Next time I’m dreaming, I will remember I’m dreaming”. Think about what this means (i.e., that you want to remember that you are dreaming—in the same way you might go to a grocery store and suddenly remember that you need bread), and imagine that you are back in a dream you’ve had recently, but this time you recognize that you are dreaming. 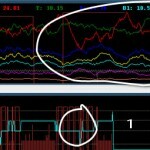 This technique is a useful aid to the MILD and autosuggestion techniques where the dreamer actively engages his or her subconscious for dream results. Patches of color (usually red or blue) that you can constantly see while your eyes are closed. A simple and quick method of determining if one is dreaming. Ex: Breathing with your nose shut, faulty light switches, etc. A reality check is a test you can perform to see if you’re dreaming or awake. It might seem odd to test reality when you are sure that you’re awake, but making a habit out of one or more of these reality checks will hugely increase your chances of having a lucid dream. If, say, you hold your nose and try to breathe in through it several times throughout the day then you’re very likely to dream about doing it. And when you dream about performing a reality check, then of course the results should come out differently, in this case you’ll find that you are somehow breathing in through your closed nostrils. You’ll know that you’re dreaming, and be able to take lucid control! A reality check result which indicates one is may not be dreaming. Ex: Being unable to will oneself to fly. The stage of the sleep cycle that your most vivid dreams occur in. The body’s natural phenomenon of paralyzing the limbs of the body while asleep. 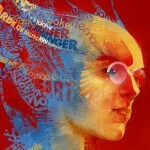 This may be experienced consciously, either by accident or during the WILD technique. The technique in which you incubate a dream that reminds you to do a reality check and become lucid. Make sure you know exactly what the dream would be like, such as which friend, the exact words they say, and which reality checks you do. Reality checks that require no props, such as books or clocks, are recommended. Visualize this dream slowly three times, to make sure that you know every detail. Then, start going full-on and visualize the dream over and over. 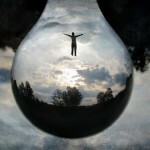 You should visualize the dream as though you are looking through your own eyes, not from a third-person perspective. If you find your thoughts drifting, ignore them and continue to visualize the dream continuously. You will need patience for this — don’t just give up if you think it won’t work. A dream with a notably higher level of detail. The technique in which you wake up for a bit after a few hours of sleep and go back to sleep again. Usually used in combination with other techniques. Wake yourself up after 4 to 6 hours of sleep, get out of bed and stay up for anywhere between a few minutes to an hour before going back to bed. It is preferable that you do something related to lucid dreaming during this time (such as reading about lucid dreaming), but it is not required. This is best combined with other techniques; many people have amazing results with a MILD/WBTB combination. The WBTB technique significantly increases your chances of a lucid dream, and using MILD (see above) in conjunction increases your success rate if you are planning to sleep an hour or more after your WBTB session. However, you might need plenty of sleep time and therefore you may only be able to use it on weekends. A lucid dream triggered by consciously falling asleep. If you pay attention to your physical body while using these techniques, then you will likely enter sleep paralysis (which usually happens after you are already asleep) without losing conscious awareness of your body. You will get a tingling and buzzing sensation (this might be unpleasant). These sensations might be so strong that you feel that you will die (e.g., you might feel a choking sensation), but don’t worry, this is perfectly safe! 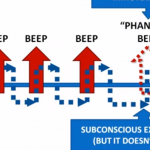 In fact, this process happens to you every time you sleep, you are just not conscious during it. Sometimes you can simply wait until you fall asleep straight into a lucid dream. However, if you do not fall asleep, and you become completely paralyzed (with the exception of your eyes), do not try to move. Imagine your dream hand (or spirit hand if you prefer) going up and leaving your physical hand behind. Now you should have two separate bodies, a dream one and a real one. Control your dream body only — if you control your real one, you will wake up. Now you can try to roll out of bed into your dream world (alternatively, you can get up and walk through a mirror, or sink into your bed). There is a possibility that after waking up from a dream that you initiated using this technique, you may still be paralyzed. If this phenomenon occurs, it may be accompanied by hallucinations. For example, you may wake up from a lucid dream that you started using one of the WILD techniques, and you will still be paralyzed. A dark and scary figure may approach your bed, and you are unable to move, shout, or scream.